More breweries in the United States mean more chances for brewing mishaps and accidents. It’s never too early to review your own brewery’s processes and procedures to ensure safety and prevent injury. 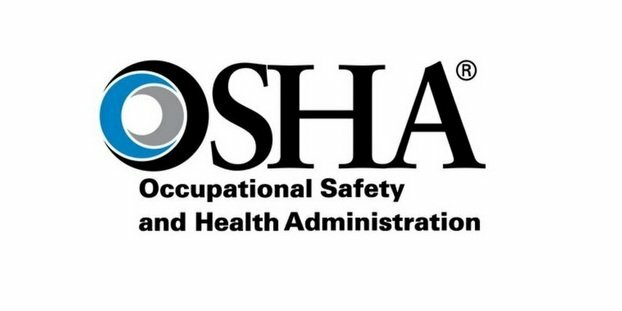 If you are in need of a refresher, the team at the Brewery Insurance Program sent us an exclusive excerpt from its handy “Brewery Safety Manual: A guide to achieving OSHA compliance and protecting the health and safety of brewery employees” (free PDF download on the company’s site). The excerpt covers areas about controlling hazardous energy and the design and operation of machinery. The full 50-page PDF covers everything from injury and illness recordkeeping to fall prevention, hazard communication and fire prevention. An important part of any brewery safety program is the control of hazardous energy, also referred to as energy isolation or lockout tag out. During the cleaning, repairing, servicing, setting up or adjusting of machines and equipment, employees must be protected from the unexpected energizing or startup of the equipment. • Affected employee: An individual whose job requires him or her to operate or use machinery or equipment that may be under lockout or tag out or who works in an area where lockout tag out is performed. Essentially, this will be all brewery employees working in the operations area. • Authorized employee: A qualified individual who locks out or tags out specific machines or equipment in order to clean, repair, service, set up or adjust that machine or equipment. The key difference between an affected employee and an authorized employee is that the authorized employee will actually apply the lockout. • Locked out: The use of devices, positive methods and procedures that result in effective isolation or securing of hazardous energy sources. As an example, closing a valve can effectively isolate energy, but it is not considered locked out unless a lockout device is applied to the valve, rendering it inoperable. Another example is using a breaker to isolate electrical energy. Until the breaker is secured in a locked position with a lockout device, it is not considered locked out. A list of equipment should be made with the steps to be taken to lock it out and should be developed for each piece of equipment. Employees who work with or around that equipment must be trained as needed for their role(s) in the lockout tag out program. A simple table or matrix can be used to record this information. There are some exceptions to the lockout tag out process for equipment that may require dynamic adjustment — in other words, fine-tuning while it is in operation. This is necessary sometimes with bottling machines, cappers and labelers. In these cases, specific procedures must be developed and the operating controls must be under the sole control of the individual performing this work. The brewery must have a periodic inspection of energy control procedures, at least annually, to evaluate the continued effectiveness and determine the necessity of updating the written procedures. The periodic inspection must be performed by an authorized employee, and they may not self-audit their own lockout performance. As with all inspection activities, this one must also be documented. If deficiencies are found in the program or the execution of the procedures by certain employees, those individuals should be retrained in the procedures. Keep in mind that brewery expansions can add new equipment or significant changes to existing processes and must be included in this annual review. Machinery and equipment must be of adequate design and shall not be used or operated under conditions, speeds, stresses or loads which endanger employees. In-service machinery and equipment must be inspected and maintained as recommended by the manufacturer and must not be used with defective parts which may create a hazard. Any modifications to equipment or machinery must be made with good engineering practice and may not be inconsistent with the manufacturer’s recommendations or such that employee safety would be compromised. In this guide it would not be practical to describe each type of equipment and the type of guarding that should be used, but the general rule should be that body parts must be prevented from making contact with hazardous points of operation. Brewery examples include rotating shafts, chains and sprockets, bottle indexers, rotating pressure bottlers, conveyors, cappers, labelers, mills, screw conveyors, pumps, case packers/un-packers, case sealers, pallet stretch wrappers and others. Pressure bottling machines must also be provided with an enclosure covering the part of the machine on which the bottle stands while being filled to a point at least 4 inches higher than the top of the bottle. The side of the machine facing the operator should also be protected by a solid guard. For even more brewery safety insight, be sure to head to the Brewery Insurance Program’s site and download a full copy of the program.